Mark Bates has worked in the lock industry for over twenty-five years, starting as a locksmith and safe technician. 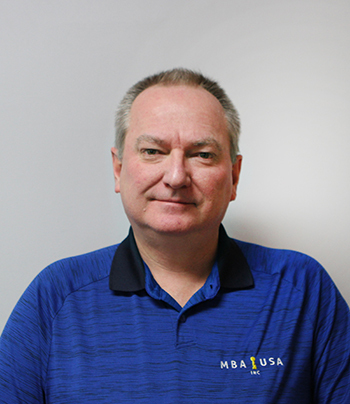 In 1993 he founded MBA USA, Inc. which has grown to be a leading provider of security education and equipment. 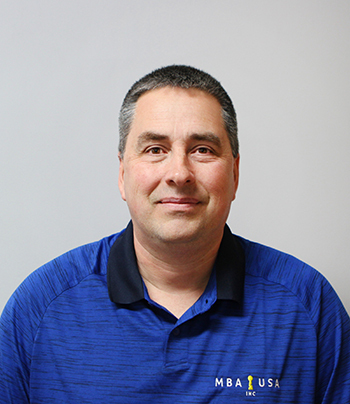 Mr. Bates is a longtime member of the Associated Locksmiths of America (ALOA), the American Society for Industrial Security (ASIS), and the Safe and Vault Technicians Association (SAVTA). In 2000 he was inducted into the SAVTA Hall of Fame. Mark is the author of the reference book "Modern Safe Locks", and has contributed articles to leading industry journals. In addition to his duties as instructor at MBA, Mark has conducted classes for ALOA, SAVTA, and for numerous regional associations. These classes have taken Mr. Bates throughout the U.S. and Canada, to England, Germany, Spain, Denmark, Austria, Italy, and the Middle East. From these travels, Mark has developed a deep understanding of locks and security from a global vantage point. Mark is also an ACE Certified instructor through the ALOA Security Professionals Association, Inc.
Paula has been with MBA since 1995. Her background is in design as she completed her studies in Landscape Architecture in 1984 while living in California. 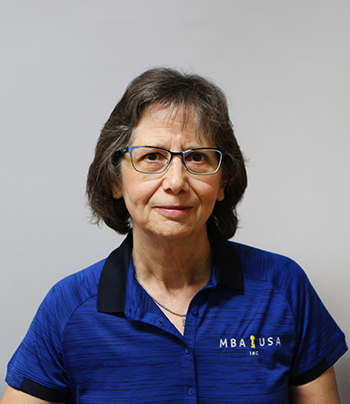 Her contribution to MBA has covered a diverse listing of departments, working in areas that include, but are not limited to the layout and planning of advertisements, newsletters and catalogs, bookkeeping and attending trade shows with co-workers. Pete spent 20 years working with UPS, beginning his career in operations but spending the majority of his time as an Account Sales Manager. For the last five years, Pete specialized in public accounting while also going back to school to earn a second degree. He holds a degree from Eastern Kentucky University with a Bachelor of Business Administration with emphasis in Accounting. Pete lives in Richmond, KY with his wife, Sheila, and two sons, Cole and Ethan. He enjoys spending time with his family and friends, plus anything sports related. Chuck has been in the physical security field for 21 years. He owned and operated a locksmith shop for 12 of those years. In those 21 years he has had many unique opportunities to work with many branches of the government, and law enforcement, and brings a wealth of knowledge in covert and surreptitious entry techniques. No stranger to education, Chuck has thousands of hours under his belt instructing technical courses throughout the world. Chuck is also an ACE Certified instructor through the ALOA Security Professionals Association, Inc.
A native of the great state of Kentucky and a veteran of the U.S. Army, Dan began his career with a locks and securities company in 1974 and has since been an active member of the industry for more than 41 years. 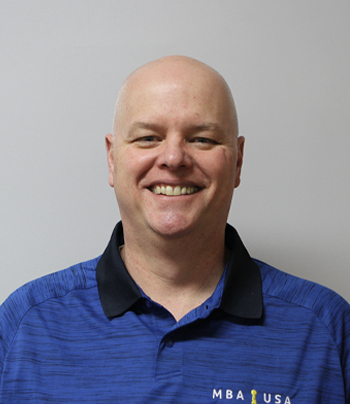 With experience not only in sales and customer service, but also product development and maintenance, Dan has been an integral part of the MBA team for 12 years. At home, he enjoys playing the piano and guitar, and spending time with his family and grandchildren. Andy Dennison has been a locksmith since 1990 and an instructor since 1999. His experience covers a wide variety of locksmithing services with the majority of his time spent in the area of safes, vaults, and GSA containers. Before becoming a locksmith, he served four years in the U.S. Navy and another four years in the U.S. Naval Reserve. 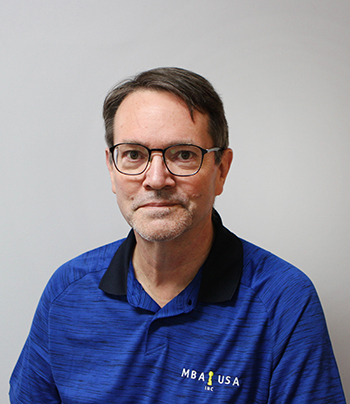 After working for 15 years at major locksmith company in the Washington, DC area, he moved to Kentucky to work for MBA USA, Inc. as a full-time instructor in 2006. Mr. Dennison has been a certified instructor for Mas-Hamilton/Kaba-Mas since 1999. He is also a factory authorized instructor for Sargent & Greenleaf, an ACE Certified instructor and Certified Master Locksmith through the ALOA Security Professionals Association, Inc., a Certified Master SafeTech through the Safe and Vault Technicians Association (SAVTA), and is certified by the US General Services Administration (GSA) to conduct GSA certification courses. In April 2019 he was inducted into the SAVTA Hall of Fame. Mr. Dennison is recognized as an authority on both mechanical and electro-mechanical locking devices with nearly 30 years’ experience installing, servicing, and troubleshooting numerous common and obscure mechanical and electro-mechanical locking systems. He is also a recognized authority on GSA approved security containers and vault doors and is the author of the bestselling reference book, "GSA Container Identification". 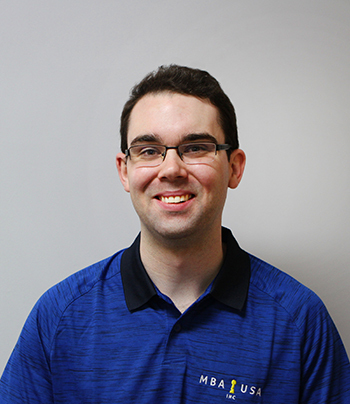 A graduate of the University of Kentucky, Jimmy has worked in the marketing and advertising industry for more than 5 years under both agency and in-house environments. With awards in artistic direction, and writing published in an academic textbook, news outlets and a variety of marketing industry websites, Jimmy manages the MBA marketing strategy to help share the company with individuals across the industry. At home, Jimmy enjoys the outdoors, UK athletics and spending time with his friends, family and his yellow lab, May. A longtime member of the lock and security industry, Phil Sutherland holds more than 20 years of experience working in areas that include, but are not limited to customer/technical support, business development, product development, distribution and more. As an ALOA, ACE trained instructor, Phil has also developed training materials and instructed training courses. Prior to beginning his career in the industry, Phil earned a Bachelor of Arts double major in Decision Science and Marketing from the University of Kentucky. He is also a native, fluent speaker of both Spanish and English. Phil enjoys the challenges of customer service, technical support and business development. 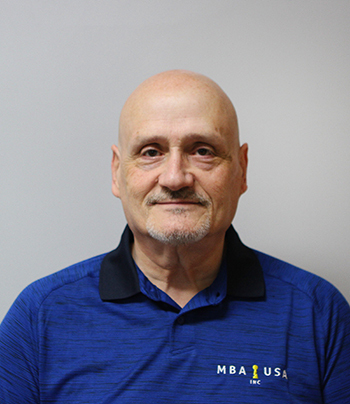 His extensive experience and broad product knowledge makes him an integral asset to the MBA USA team. 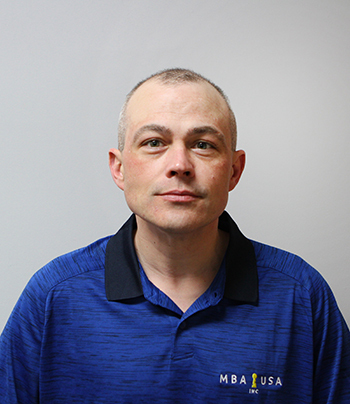 A native of Nicholasville, Kentucky, Jeremy Willoughby has spent many years in the locks and security industry, holding experience primarily in material control and manufacturing. 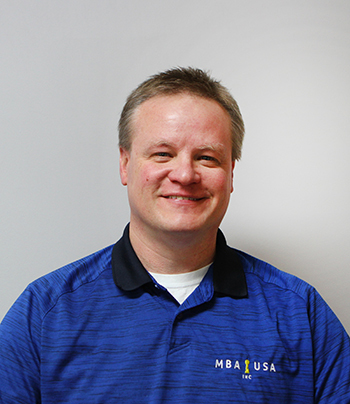 As the newest member of the MBA USA team, Jeremy assists in sales, product and package development, customer service and more.